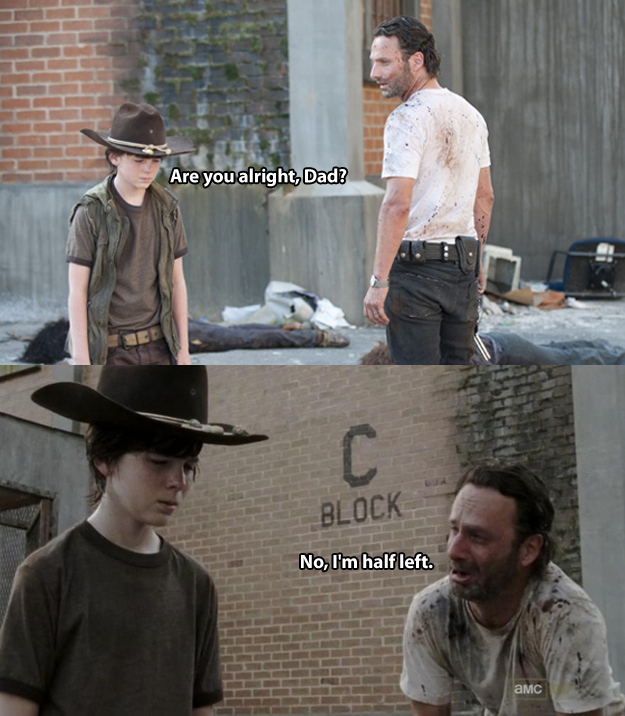 The pick of the bunch, you’ll be dead set struggling to find funnier Walking Dead dad jokes than these. 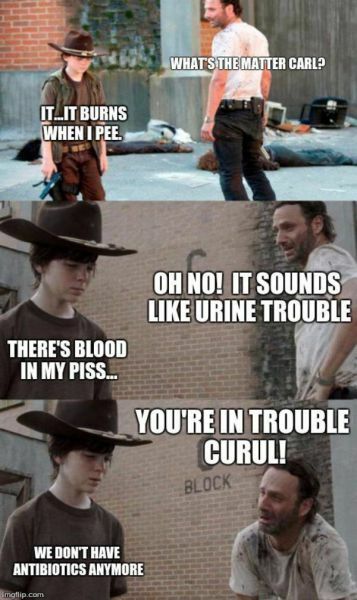 I haven’t showered in weeks. 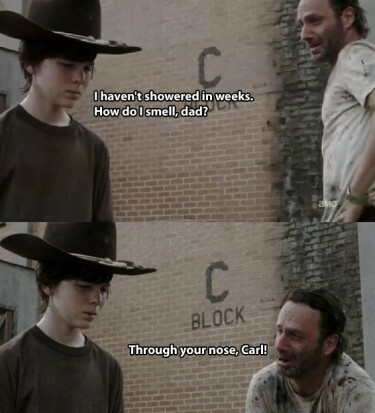 How do I smell dad? 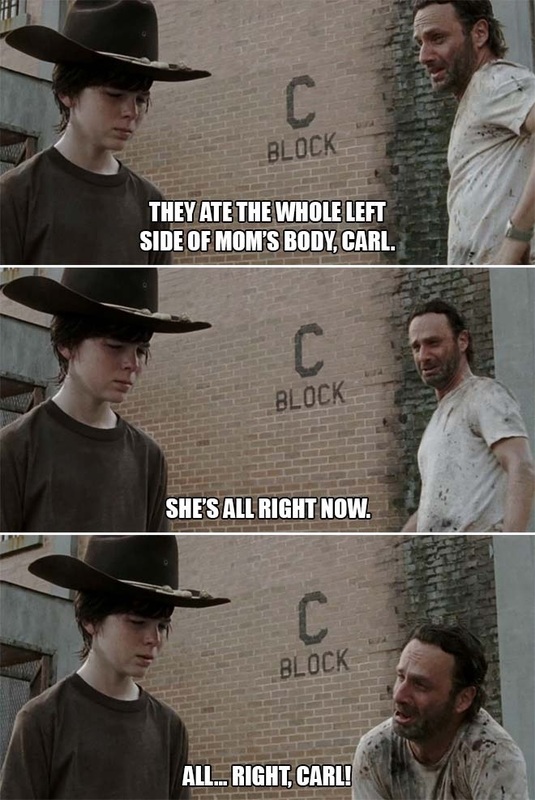 How do you know you’re drowning in milk? 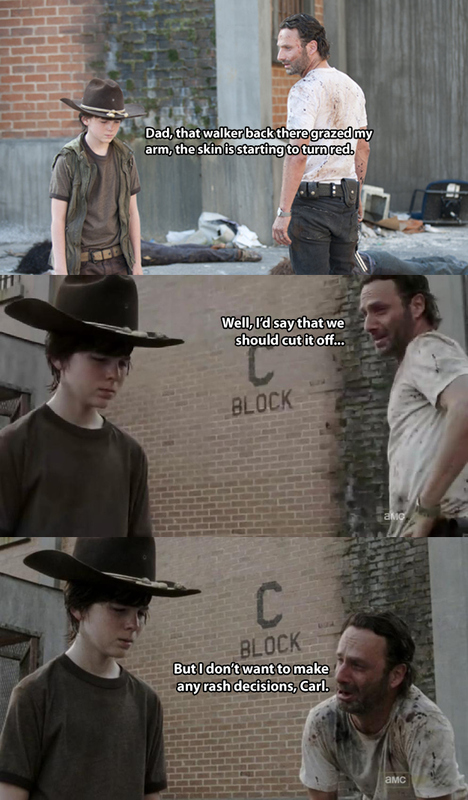 Carl, do you know why you can’t get cell service at the cemetery? 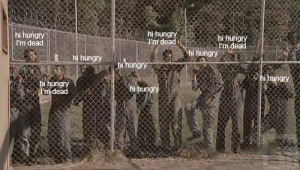 Because it’s a dead zone. 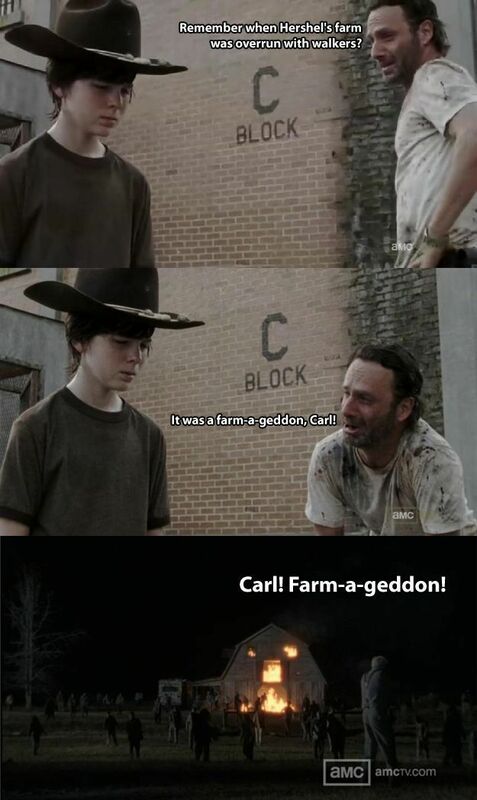 A dead zone Carl! 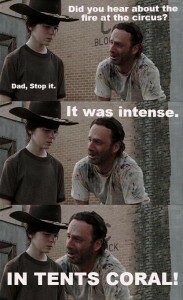 Before I was a Sheriff, I was an investment banker. 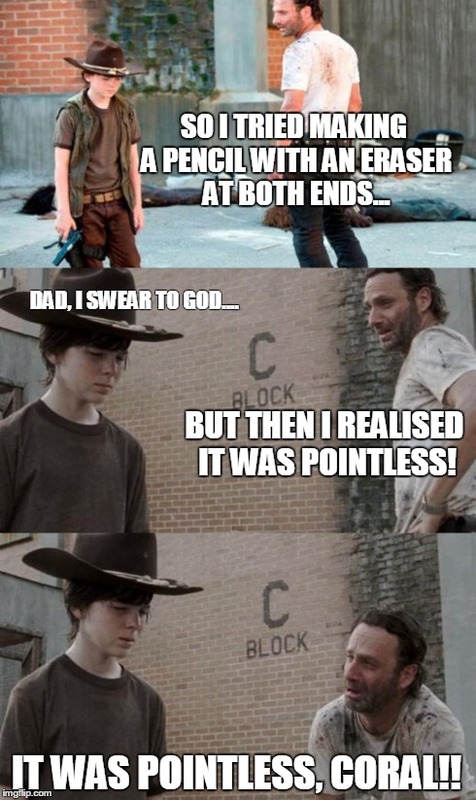 But I quit… I just lost interest! 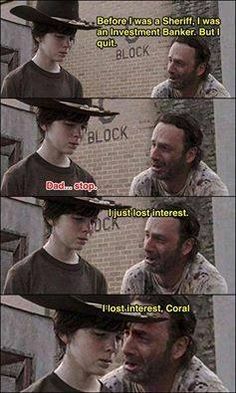 I lost interest Coral. 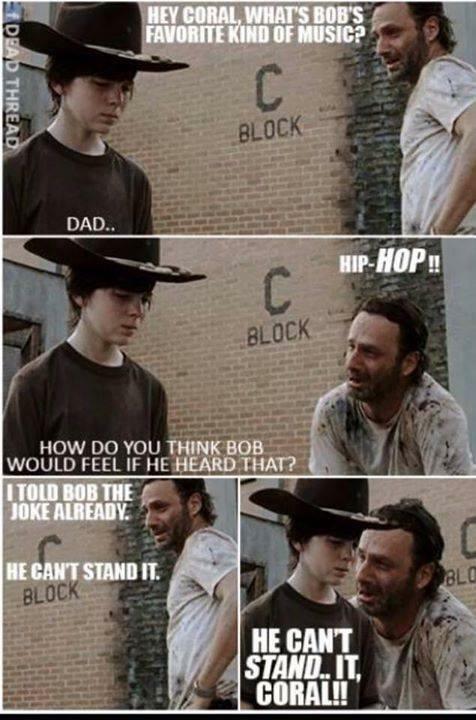 Hey Coral, what’s Bob’s favourite kind of music? 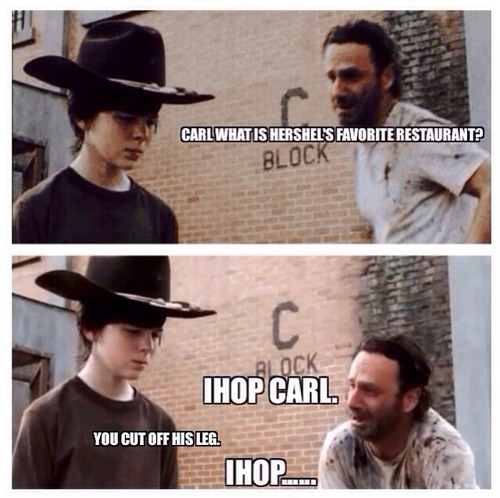 Hey Carl, what is Hershel’s favourite restaurant? 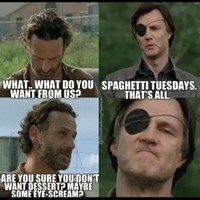 I’m hungry dad… I would say get Hershel to make you some spaghetti. 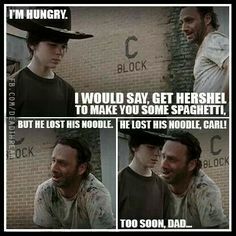 But he lost his noodle. 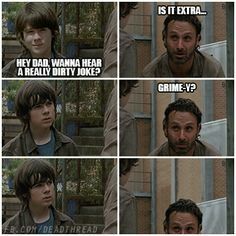 Hey dad, wanna hear a really dirty joke? 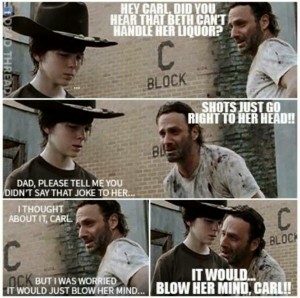 Hey Coral, did you hear that Beth can’t handle her liquor? 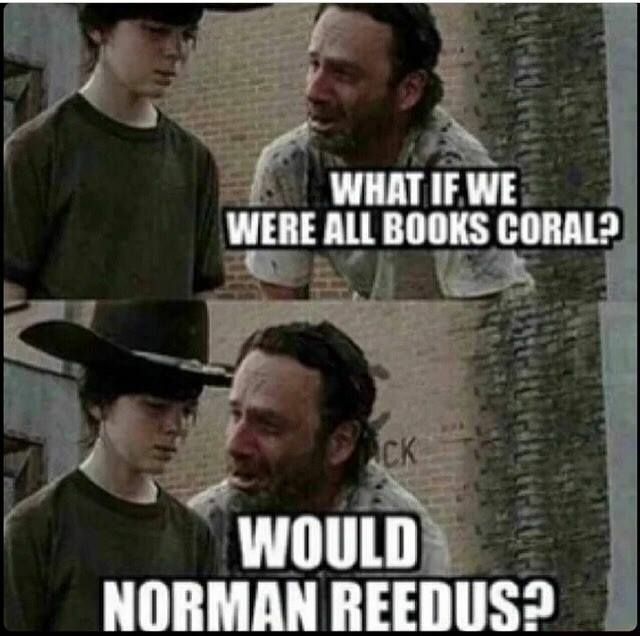 Hey Coral, what if we were all books? 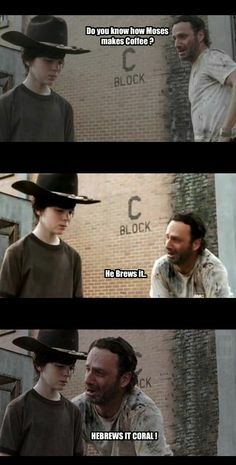 Hey Coral, what’s a pirate’s favourite letter? 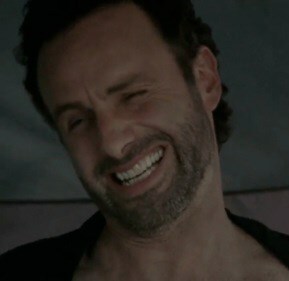 Oh Rick Grimes, you so funny. 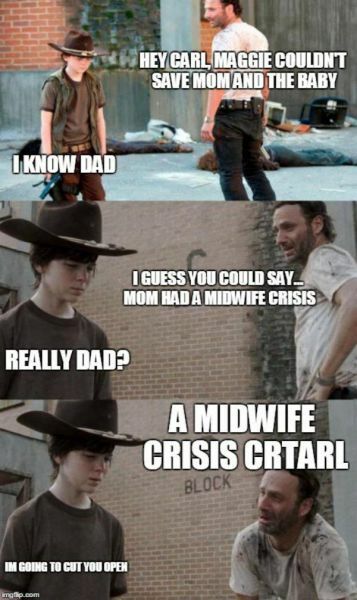 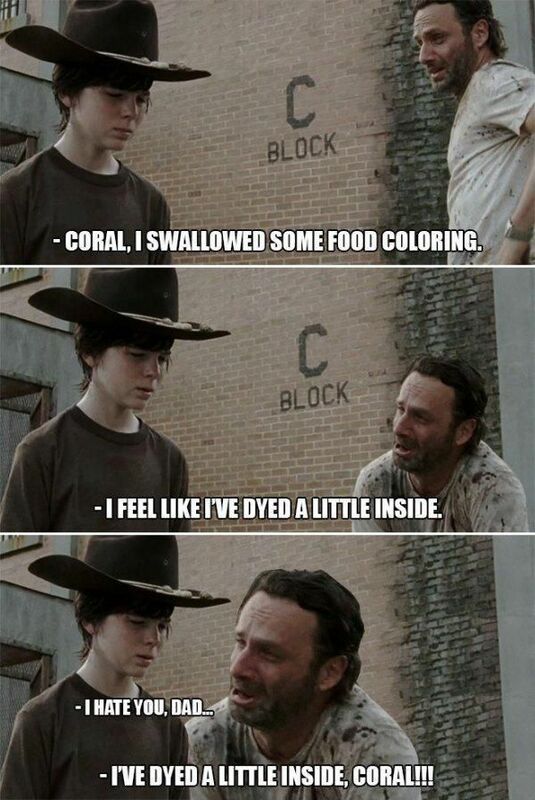 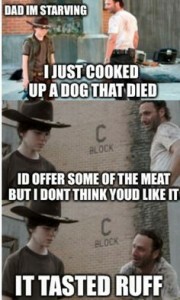 Coral will never get sick of these dad jokes.